Run vapor update or swift package update and regenerate your Xcode project if you are developing with Xcode. You can then set these keys in Xcode's environment variables or in the command-line with export <KEY-NAME>=<KEY-VALUE>. Note: If you set the keys in Xcode, they will need to be re-added every time you regenerate the project. If you set the keys in the command-line, you will need to close Xcode and regenerate your project. You can log request/response pairs that result in an API error if you are in debug mode and set the env var PAYPAL_LOG_API_ERROR to TRUE. When this response is sent to the client, they will be redirected to the payment approval page on PayPal. Depending on what they do then, they will be redirected to one of the links that was registered with the payment (https://example.com/approved or https://example.com/canceled in our case). These should be URIs for routes in your app. Make sure the amount in the executor object is the proper currency and equals the amount of the payment you created. This is because some endpoint returned validation errors if this padding wasn't there. The Order.Item.quantity and Payment.Item.quantity properties are documented as strings in the PayPal API documentation, but you actually get ints back when you create a payment or order. Because of this, we attempt to decode an int, and fall back to a string if we get a type mismatch decoding error. The Environment.domain property is now public, so you can easily get the API domain for the endpoints you are using. 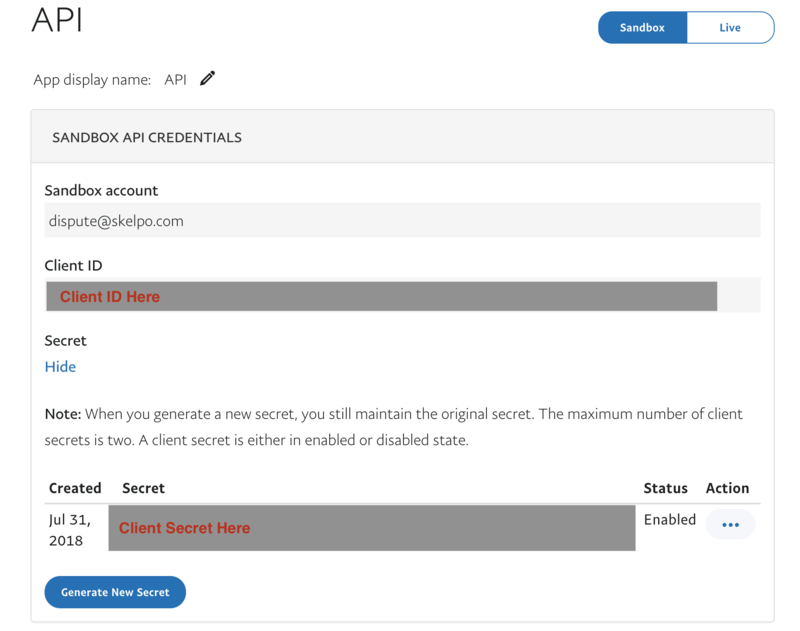 Pass client ID and secret into PayPalProvider initializer for flexibility during app configuration, instead of requiring environment variables. Remove all ID assignment from initializers. Made some types into sub-types, i.e. AgreementState => Agreement.State. Replaced Money and Amount structs with generic AmountType struct. Created Country struct which encodes/decodes using a single value container to handle country code validation. Created a Province enum that represents the states or provinces a country can have. Extended HTTPHeaderName with custom PayPal headers. You'll Pay. No, the Buyer Will. A mostly incomplete and partially broken interface for PayPal's REST API, but hey, that's what pre-releases are for, right? The only thing that we know works are basic payments. You can read about how to implement that in the README. Be sure to leave feed back and suggestions for the next releases!